Ryan Thomas closed the book, and put it down on his desk. He stood up and stretched his legs, slowly moving over to his office window. He looked down, noticing how busy the early morning streets of Chicago already were. It was nearly ten in the morning, and he was full of hope today. Not just for him, but for her too. He was excited to sign this deal, and wrap things up. He couldn’t remember when a story had touched him so much. All he could think of now, was his pending meeting with the author of the book he was about to get published. Nicole Butler was meeting with him later today, and he needed to get her, to sign on with his company. He and Nicole would be working together as co-writers; her book was being adapted into a movie script. His company had just negotiated a deal for the story rights, and they already told him that they wanted it to be a hit at the box office. He needed to get her to sign the contracts today at all cost. It’s all about the money he thought, especially for his company. But he knew it was about something much more than just money for her. When they’d spoken on the phone about their upcoming project earlier that week, he could hear the passion in her voice, and could tell just how important this story was to her, and how significant it was to tell the world this story. He looked at his watch. In just a few minutes, he would meet the woman whose story had left him with such deep thoughts. He had written many movie scripts in his lifetime, yet this time it felt different to him – he had a very real sense of this woman’s despair. The haunting realities of the book had left him with a nagging, sick feeling inside his gut. He guessed it was because he knew, that the contents of this book were based on her life. He ran his hands through his thick black hair, and smoothed his black mustache, pondering about the woman whom he would meet in just a few minutes. He looked rugged, and handsome, as he gazed out the window in his navy blue sports jacket, white T-shirt and faded blue jeans. He left his office, and as he walked down the long corridor to the conference room, where he’d told Nicole he would meet her, he wondered what she would look like. Would she be fragile after such an experience, or would he see the strength she portrayed in her book? Ryan quietly opened the conference room door, and saw a woman standing in the far corner of the room with her back to him, unaware of his presence. As she stood staring out the window, he quietly watched her for a few moments. She seemed to be a million miles away, deep in her own thoughts. He noticed even at a distance, that there was something special about her. She stood about five feet six inches tall, with silky golden-blonde hair that fell in waves around her shoulders. Her skin had been kissed by the sun, and held a soft warm glow. Nicole stood tall and slender, in a finely-tailored light gray suit, which stopped just above her knee, revealing her shapely legs. Ryan cleared his throat, making his presence known, slightly embarrassed now because he had been staring at her for so long. Nicole spun around, suddenly realizing she was no longer alone. She looked somewhat startled, to see him just standing there looking at her. She walked over, and offered Ryan a hand shake. He looked into Nicole’s dark brown eyes, as she came towards him. He noticed the grace of her movement; she looked younger than perhaps she was. She had a presence that did indeed command a gentle strength. He found it hard to take his eyes off of her. She had a hidden allure, which seems to captivate him. He couldn’t put his finger on it just yet, but he was anxious to speak with her further. “I’m so happy to be working with you Mr. Thomas. I have dreamed of this day for the last year.” Nicole spoke with a warmth and kindness. Her smile was the kind that could easily melt one’s heart he decided. He loved the sound of her voice, soft and gentle, yet steady as a rock – it made him want to listen to every word she said. “May I call you Nicole?” Ryan asked, eyeing her body language. “Yes… you may, and thank you for seeing me today. I think before this project is over we will have spent a lot of time together, so I hope we can be comfortable with each other.” She nodded, hoping that he would agree. Nicole walked over to the table, but instead of sitting in front of him, she took a seat closer to the window. Ryan continued to look at her. He couldn’t help but notice the lost look in her eyes, there was a sadness that was buried in them. It almost gave him an eerie feeling, like she could sense his thoughts, and was questioning his motives for being there. There was an unspoken question that he needed to answer. “I just finished reading your book Nicole, and I’m honored to work with you, and help you bring this story to life on the big screen. I just want you to know, that you can trust me to follow your instructions, and to get this done the way you want it done.” Somehow he knew the question in her eyes, were about trust. She looked at him. “Trust! Yes… I believe I can trust you Ryan. Most of the time my gut instincts are right. I believe you do actually want to help, and I thank you so much for that.” Her eyes held his gaze. Ryan reached over and gently touched her hand, letting her know he did feel her pain, and that it had touched him too. He knew that none of it should have ever happened. Not to her, not to anyone. Nicole agreed, then turned her head away from him, and stared out the window into the vast empty space. 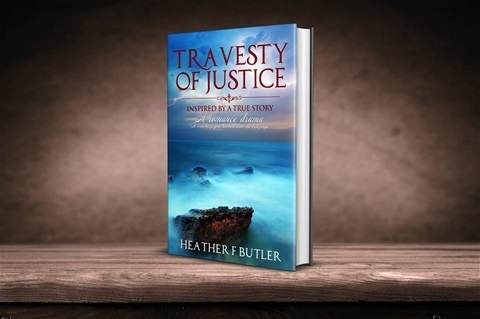 Slowly she began to tell her true life travesty of justice to Ryan, allowing the empty space to become her vehicle, to walk once again down memory lane.